One of the US’s greatest ski racers, Lindsey Vonn, told the Denver Post recently that she would like a chance to race against men. 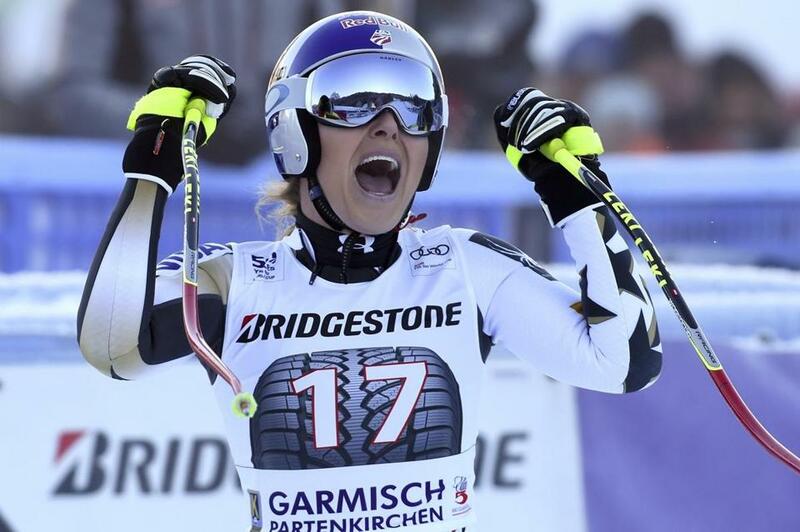 The US ski team supports Vonn, who won a downhill event Saturday in her second race back from injury. But the guy who runs women’s World Cup ski racing isn’t keen on it. Apparently he hasn’t heard of Billie Jean King, the PGA Tour welcoming Annika Sorenstam and Michelle Wie, or the NHL giving Manon Rheaume a chance to play goal in preseason games. There are many other similar instances. It’s a pretty unbelievable stance for a sport that should embrace the kind of publicity a Vonn vs. men race would generate. Injecting a story line like this would be huge for ski racing’s profile because it would take the sport far beyond its niche. Look at what outdoor games on Jan. 1 has done for the NHL. Look at what having a big air competition at Fenway Park did for freestyle skiing and snowboarding. The NCAA has played basketball games on aircraft carriers. All clever twists to the norm that generated a lot of interest. Vonn’s fellow racers, both men and women, embrace the idea. So does the place it would likely be held — Lake Louise in Canada. Follow Matt Pepin on Twitter @mattpep15.